Break out the hot dogs and fireworks! The coming week is one of the most festive across this great country, and Connecticut is not about to fall short when it comes to celebrating our Independence. The Summer of 2018 has made itself known and is forging full-steam ahead. July 4th will be here in moments, it seems. Are you “backyard ready” with your deck and screened porch? Does your grill or smoker need an outdoor kitchen upgrade? 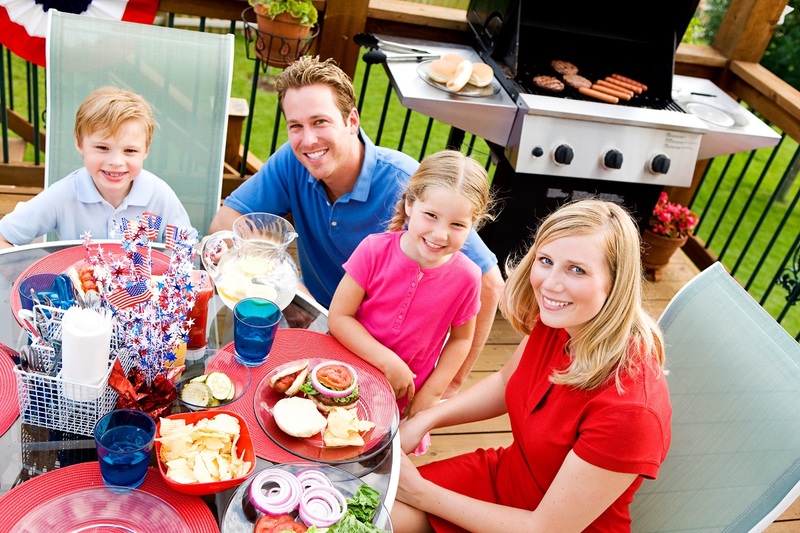 How will you and your family spend your July 4th holiday? Having it fall in the middle of the week presents an interesting challenge for many. If you can take the entire week off, that’s great!! We are always in favor of longer holiday celebrations, and a whole week sounds just about right for this one. Food, family, friends and fireworks … and decks! Celebrations across central Connecticut will certainly feature food, family, friends and fireworks. Oh, did we list those in the correct order? Food first, right? This is the holiday that cookouts and barbeques everywhere have been waiting for. It’s the big one, and it only comes around once a year. 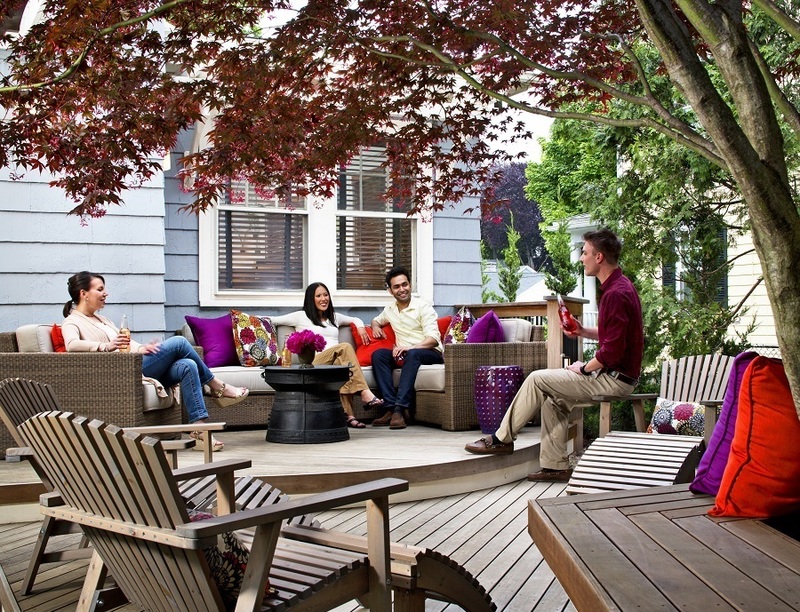 This may be the time of year when you wish you had a bigger deck, perhaps one with several levels or different areas for hanging out and dining, for example. Do you look at your deck and wish it were a screened porch instead? 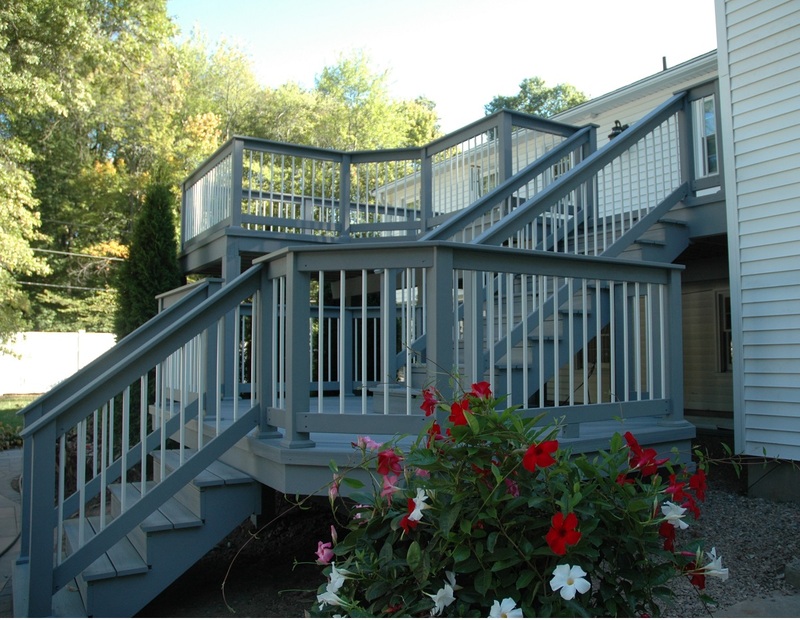 Do you look at your deck and think, Wow, if I turned this deck into a screened porch, I could add a bigger deck! Deck-and-screened-porch combinations are perfect for holiday celebrations because, while everyone loves being outdoors, those quick summer showers have been known to dampen a backyard barbeque. 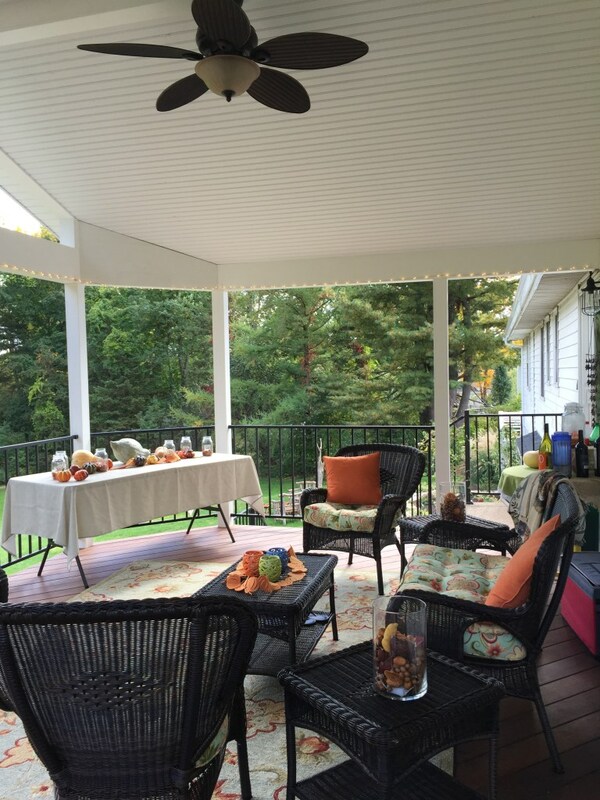 With a screened porch or three-season room, you can move the party from the deck to your covered porch if necessary. Screens keep out the pests that can torment us during an outdoor meal, so it makes sense to plan your meal for the porch and enjoy the deck before and after eating. 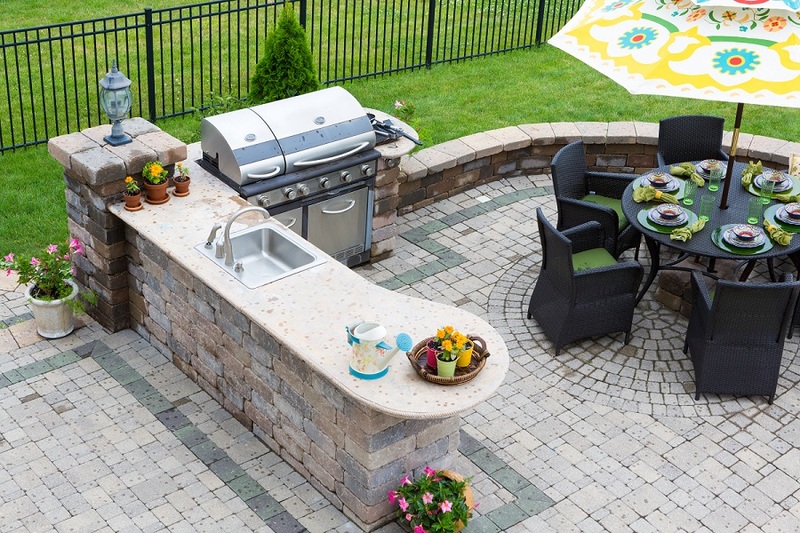 Do you see an outdoor kitchen in your future—as in, your future July 4th holidays? At times like this, when you’re entertaining a horde of folks and you’re the grill-master, you may think (again) about adding an outdoor kitchen to your outdoor living space. In-between major backyard holidays, it’s easy to put off planning a bigger and better deck or the outdoor kitchen you’ve been wanting. Then, another outdoor holiday rolls around looking for a barbeque and you wish you had already completed that upgrade to your outdoor living space. Archadeck of Central Connecticut wants to wish you and your family a fantastic 4th of July, wherever you celebrate. We also want to encourage you to start putting your plan into action for a new or improved outdoor living space as soon as Wednesday, July 4th, has passed. Or, even better, call us today! This you know: every summer, these three occasions roll back around: Memorial Day, Independence Day and Labor Day. These are the days you most want a beefed up outdoor space for grilling and entertaining. What you may not realize is how much you will enjoy that bigger deck, screened porch and outdoor kitchen every day—or at least every weekend—spring, summer and fall. Why put it off any longer? If we could start building your project tomorrow, we would! This is our busy season, and we have projects on the calendar. The sooner you call to schedule your free design consultation, the sooner we can get you on that calendar as well. We want to help you become the envy of your neighbors with a new or bigger and better outdoor living space, not just for major holidays but so every day can be a celebration. If you are considering upgrading your deck, adding a screened porch or adding an outdoor kitchen, custom fire feature or more at your Avon, Cheshire, Farmington, Guilford, Madison, Woodbridge-area home, call us to talk about your ideas and see how we can serve you. Call Archadeck of Central Connecticut at (203) 793-7142 or email us at a [email protected].